Sculptra®Aesthetic (injectable poly-L-lactic acid) was approved by the U.S. Food and Drug Administration as a treatment indicated for the correction of shallow to deep nasolabial fold (smile lines) contour deficiencies and other facial wrinkles which are treated with the appropriate injection technique in healthy people. 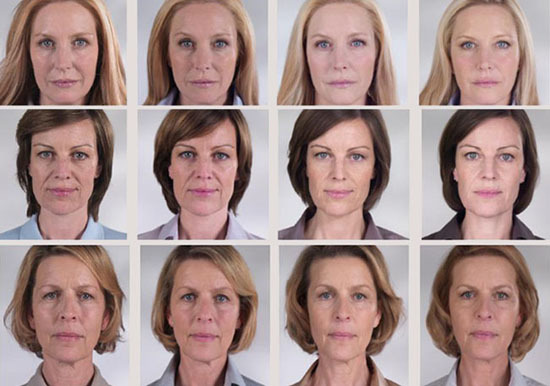 SculptraAesthetic is the only facial injectable that works gradually with results that can last up to two years. SculptraAesthetic works gradually, resulting in a more youthful looking appearance without making it look like you've had work done. As we age, facial wrinkles and folds begin to show in part because collagen beneath the skin's surface starts to break down. SculptraAesthetic helps to replace lost collagen. Results from a recent study conducted by the American Society for Dermatologic Surgery (ASDS) and sanofi-aventis U.S. showed that both injectable users and women considering a medical anti-aging treatment prefer gradual results that last two years (75 percent) as opposed to immediate results that last one year (25 percent). A treatment regimen of SculptraAesthetic requires an average of three injection sessions over a few months. SculptraAesthetic is made from poly-L-lactic acid, which has been safely used for the past 25 years in resorbable stitches. It is biocompatible (a material that does not harm the body) and biodegradable (able to be broken down by the body). Injectable poly-L-lactic acid has also been widely used in Europe for close to a decade for cosmetic treatment. Side effects of Sculptra Aesthetic may include injection site discomfort, redness, bruising, bleeding, itching and swelling. Other side effects may include small lumps under the skin that are sometimes noticeable when pressing on the treated area. Larger lumps, some with delayed onset with or without inflammation or skin discoloration, have also been reported. In a key clinical study the numbers of small and larger lumps were low and most resolved without treatment.